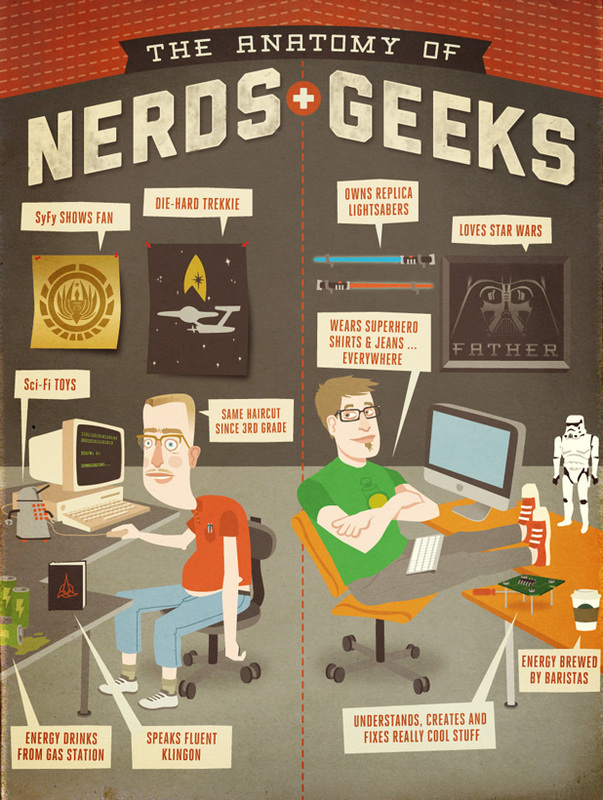 Finally an infographic that shows the difference between Nerds and Geeks [Editor:Nerds 2; Geeks 8 in the office,Huzzah!]. We love the style and simple layout of the design, don’t be fooled by the simplicity of the design because that takes just as much time for the graphic designer as a larger image. So…Anybody know Klingon or Wookie?